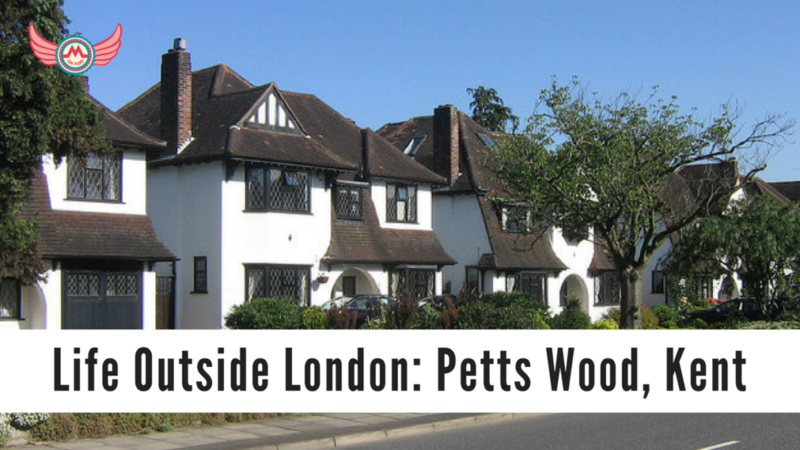 Petts Wood, a small town just inside the M25, close to Orpington and Chislehurst. We lived just off the Caledonian Road – just up the road from King’s Cross in central London and walking distance from Islington. Money! 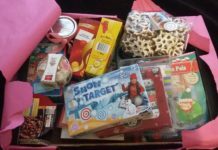 We loved where we lived, but once our daughter started moving it quickly became apparent we needed more space (and fewer stairs – we were in a first and second floor maisonette so had stairs going both up and down from the living room). Sadly you need to be a millionaire to buy houses in Islington or King’s Cross, so we decided it was time to move South. 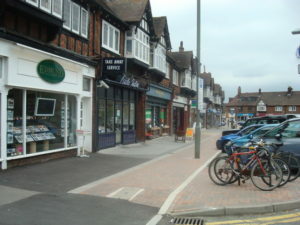 I’d grown up in Croydon and had always liked Bromley – a slightly greener version of my home town! 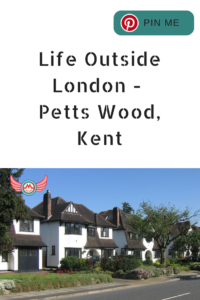 We didn’t technically choose Petts Wood, however. We’d had an offer on our flat, and the buyers wanted to move quickly. We spent a day looking at properties in Bromley, hadn’t found anything and were feeling pretty demoralised. 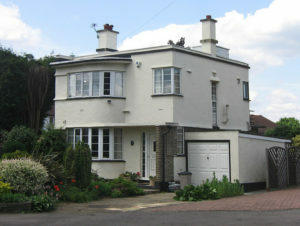 At about 3.30pm my husband had another look online and found a house that looked nice in Petts Wood. We’d never heard of it but decided to go and look as it was only a short drive. Luckily the estate agent was able to show us around; we saw it later that day and loved it. We moved about three months after we started looking. Honestly – we didn’t. The estate agent told us about a nursery in the area when we viewed the property, which was the one my daughter ended up going to. She also said all the schools were lovely, which was good enough for me. My daughter was only nine months old when we moved and schools can change a lot in a few years so I didn’t see the point in getting too caught up in all of that. The one thing I did look at was train lines. Petts Wood has trains going to Victoria, London Bridge, Cannon Street, Waterloo, Charing Cross and King’s Cross so it’s pretty well connected and meant my husband and I can easily commute to our jobs. The woods. I love having that on our doorstep. When I was on maternity leave second time around I spent a lot of time exploring that and the country park. I was really worried we’d be moving somewhere frightfully middle class and I’d slowly lose my mind…! But it’s a lot more diverse than I expected (although some of the stereotypes of suburban living are definitely alive and well…!). Really good coffee and interesting restaurants on every corner. We’ve slowly found some lovely places to go, but we were definitely very spoilt for choice where we lived before and I miss that. I’m very conscious that my children aren’t growing up somewhere as culturally diverse as London, so we have to work harder to expose them to all the amazing things that would have been on their doorstep had we stayed in London. I’m also a hard and fast lefty so leaving Islington for a Tory stronghold has been a bit of a shock…! DO NOT MOVE THE SAME WEEK AS YOU GO BACK TO WORK AFTER MATERNITY LEAVE!!! Obviously we didn’t intend to, but that’s what we ended up doing and it is an experience I never want to repeat. As soon as you’re in your new house, sort out your children’s bedrooms. Once they’ve got a place to sleep everything else will feel a lot less stressful. Don’t invite guests over too soon. Moving with kids takes a lot longer and you will still be unpacking months (years…) later. Give yourself a bit of time to get sorted. 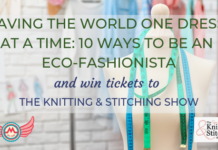 Moving to the ‘burbs isn’t the end of the world! On a more serious note, don’t worry too much. Find somewhere that you can afford and that you like the look of, but don’t get too caught up on one area. Instead, work out what’s really important to you. 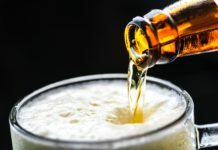 For me it was a bit of individuality (I love that no two houses on the road I live on look the same), and being close enough to a town centre that I still felt like I was living somewhere with a heart and soul. There are loads of towns inside the M25 that fit that brief, and wherever you move to you’ll end up loving because it’s where your family is. Facebook is a good place to start. 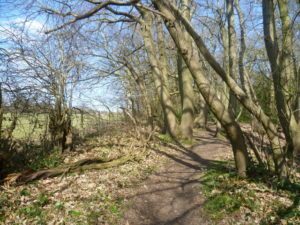 Try https://www.facebook.com/Petts-Wood-Gossip-797003536989695/ and https://www.facebook.com/pettswoodmums/ for an insight into the area. I still miss Monmouth coffee on tap. But other than that, no.